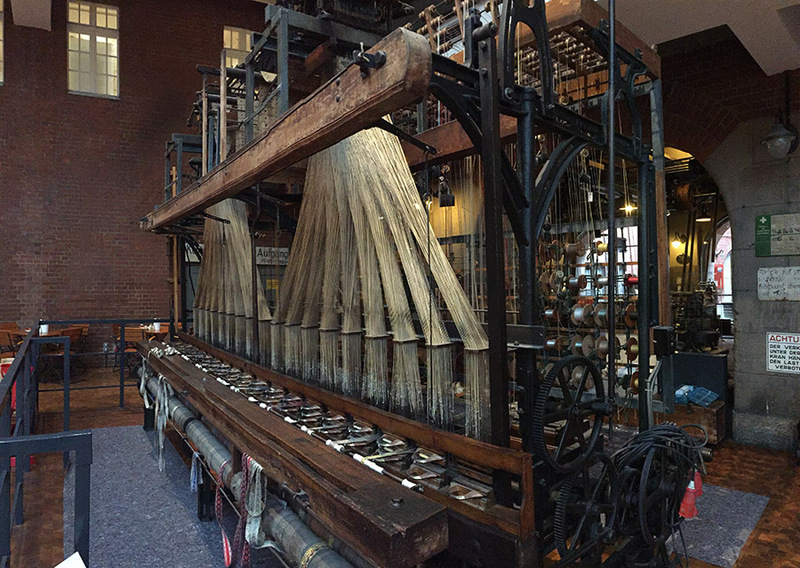 The remaining bulk of the work over the first days has been focused on thoroughly cleaning the entire loom. 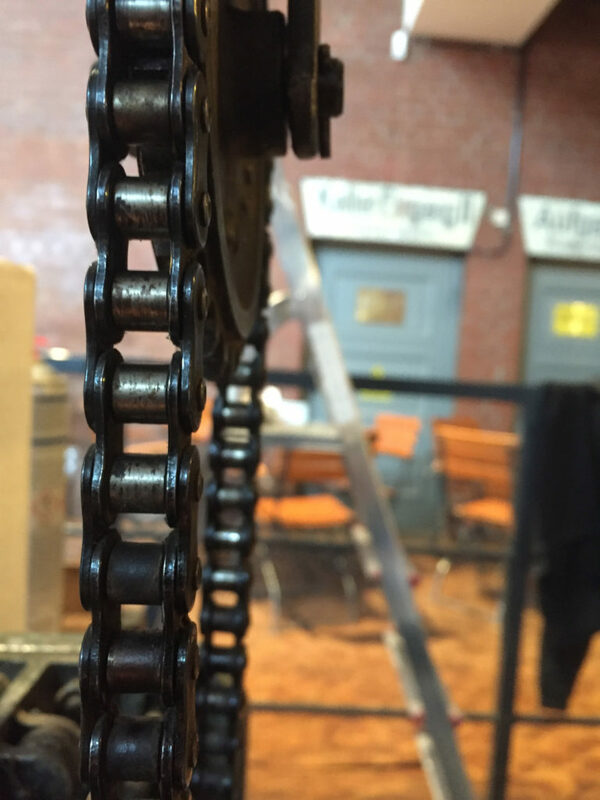 Given that it was last operated over 10 years, the team have found themselves faced with a fair amount of mechanical grease and dirt, all of which needs to be cleaned away. 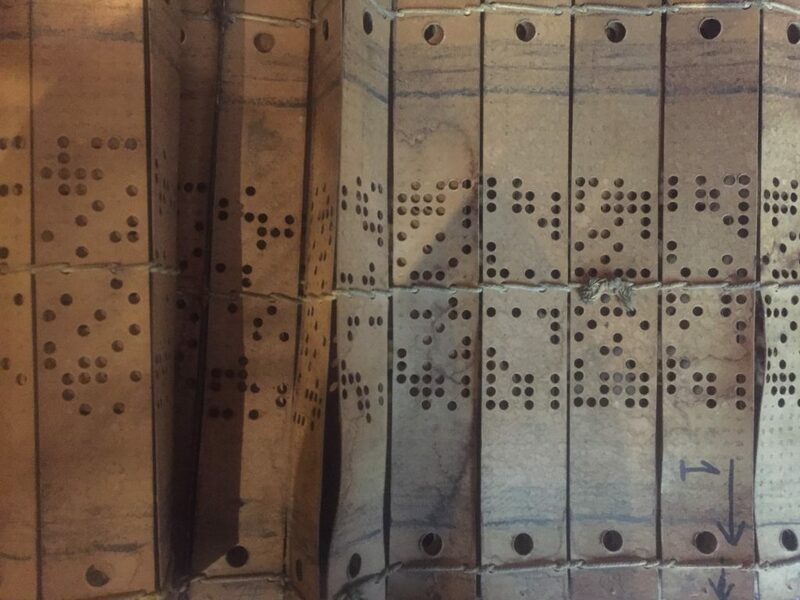 The results are already rewarding, as they have begun to unearth stunning steel and brass metalwork, along with uncovering the original deep green of the loom’s mainframe. 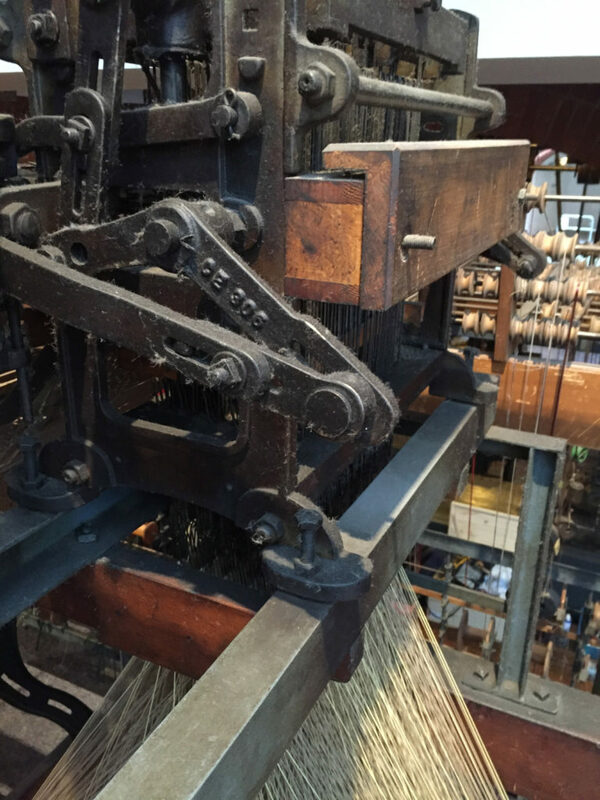 Over the coming week, the deep cleaning of the loom will continue, and Emma & Birgit will also begin work to repair all of the severely damaged warps. 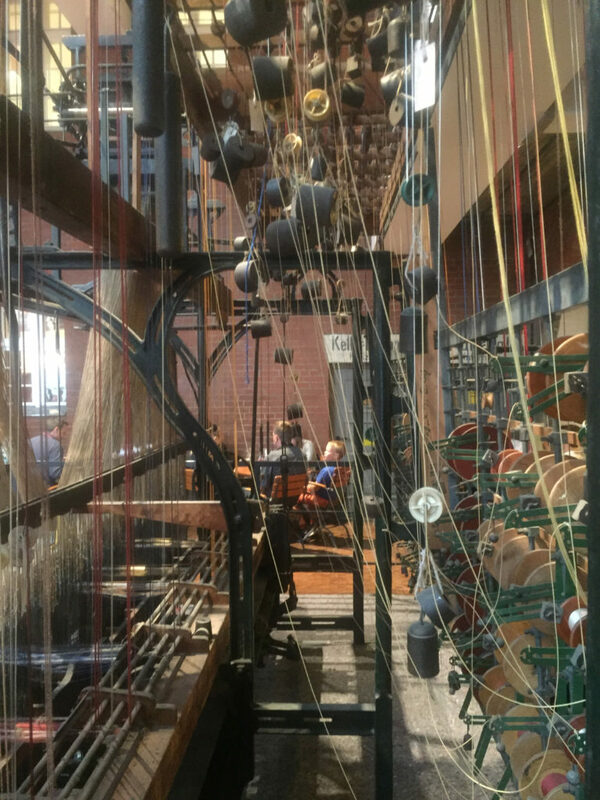 The delicate silk warp yarn along it’s complex system of spools and weights requires careful attention to detail, and promises to be an enticing challenge over the upcoming week! This entry was posted on Thursday, October 6th, 2016 at 4:37 pm	and is filed under Company Profile, Events, Exhibitions, General, New weave developments, News, Workshops. You can follow any comments to this entry through the RSS 2.0 feed. You can leave a comment, or trackback.